N.J.S. 2C:35-10 is the New Jersey statute that treats possession of so-called “controlled dangerous substances” generally. N.J.S. 2C:35-10(a)(1) is the subsection that specifically applies when the substance possessed is cocaine. Possession of any amount of cocaine, regardless of quantity, and regardless of level of purity, is a third degree crime in New Jersey. The general penalty upon conviction of a third degree crime in New Jersey is imprisonment for up to five years. The court may also impose a discretionary fine of up to $35,000.00. Because New Jersey defines cocaine to be a controlled dangerous substance, additional penalties are imposed. These can include suspension of New Jersey driver's license for up to twenty-four months, a mandatory DEDR penalty of $1,000.00, and a laboratory fee of $50.00. And the person found guilty has a drug conviction on his record. Note that N.J.S. 2C:35-10(a)(1) makes no distinction based on amount of cocaine possessed. Thus, when the charge is straight possession of cocaine, possession of one gram carries the same penal exposure as possession of a ton. That is not to say, however, that quantity is unimportant. When the quantity possessed exceeds an amount that one would have for personal use, the State will additionally charge possession with intent to distribute. On that charge, quantity does matter. We discuss possession with intent to distribute on the “Distribution”page, on this site. The focus of this page is possession of cocaine in particular. “Possession” is, of course, a common everyday word. We all have an intuitive sense of what it means. However, its meaning in the legal sense is very precise and technical. We explore this legal concept of “possession” in much greater depth elsewhere. 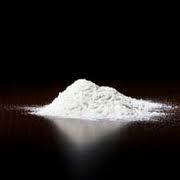 If you have been charged with cocaine possession in New Jersey, you need a lawyer. The lawyer provides crucial assistance to the person charged. First of all, the lawyer will review the circumstances that led up to the charges being filed in the first place. Did the cop act legally in finding the cocaine and in making the arrest? Did you actually possess the cocaine in the technical legal sense referenced above? Can the State prove it? Can the State even prove that the substance seized is, in fact, cocaine? Is Pretrial Intervention (PTI) feasible? Should you even seek PTI? (PTI will not always be your best choice.) The New Jersey cocaine lawyer can give advice and assistance in court vitally needed when these charges arise. Allan Marain and Norman Epting, Jr. are New Jersey cocaine lawyers. They have been defending persons charged with cocaine and cocaine-related offenses for a combined total that exceeds sixty-five years. They handle both New Jersey state cocaine charges, as well as federal charges. They know their way around. And they are available for a no-cost no-obligation initial conference for persons charged in New Jersey with possession of cocaine. Call them. You have nothing to lose. Page last updated 4 August 2018, and displayed Thursday 18 April 2019, at 14:56:36 EDT.